In our last post, I talked a bit about why I love living in Asheville. Today I thought I’d talk about why I love working in Asheville, specifically, in the landscaping industry. Most of the reasons I love working here are tied to the reasons I love living here. First, there’s the people. Asheville residents love spending time outdoors, and their outdoor spaces are a very important part of their homes. They have a true appreciation for great artistry and great craftsmanship, and, as creative people, they bring a lot of fantastic ideas to the table. Because the people here are so diverse, no two jobs are ever alike, and every day is different. We’re challenged all the time to embrace new ideas, and to find new ways of achieving our clients’ goals and dreams. We really get to use our creative muscles. So, getting up to go to work is always an exciting prospect. Next, there’s the artists, artisans, stoneworkers and craftsmen. Asheville is a haven for artistic people of every kind. There are so many creative, talented, intuitive tradespeople to work with here, and they never fail to produce something that blows the clients away. The security of knowing I can always find someone exceptional to help meet any of my clients’ needs is priceless. Last, but definitely far from least, is Asheville’s natural setting. My family and I have what I believe is an inborn love for nature. We spent generations in western North Carolina, hiking, swimming, climbing trees, and just hanging out in our backyards. We’re even passing our love for nature on to new generations; just recently, I took my four-year-old granddaughter Ella on one of our favorite hikes, and she made it from the parking area all the way to the peak of Mount Pisgah without being carried! Asheville has some of the most beautiful mountain scenery in the country. Not to mention the fact that this area is home to one of the most diverse collection of plant species in the world. From spiderwort, to goldenrods, to rhododendrons, to Joe Pie weed and Mountain Laurel, there’s no end to the colorful blooms that naturally cover the landscape. Just a few weeks ago, there were still deciduous azaleas still in bloom on Mount Pisgah. 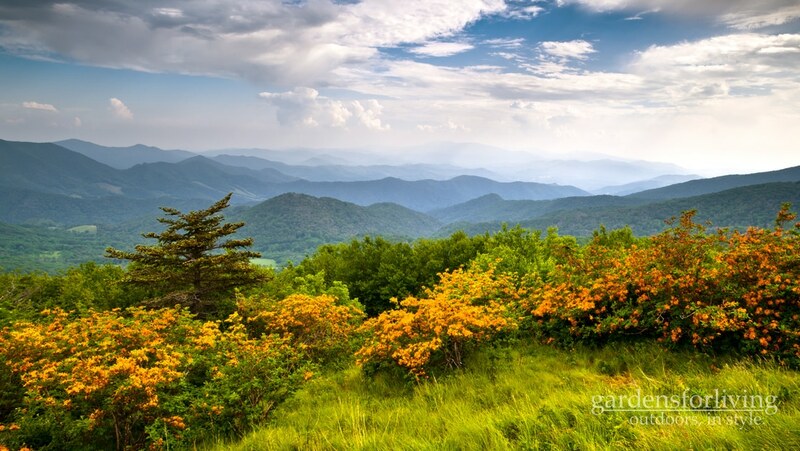 As Asheville landscapers, we get to spend nearly every fine day outdoors, enjoying the sunshine, the plants, and the mountain views. The natural setting provides as much interest and excitement as our clients do. Our job is to find the unique inherent beauty in each site, and harness it. The terrain here is challenging, as one property can have several different soils, several different grading issues, and very diverse plants and plant needs. All in all, we love being part of this city and this community, and we love serving Asheville homeowners. We couldn’t ask for a more ideal city to live or work.